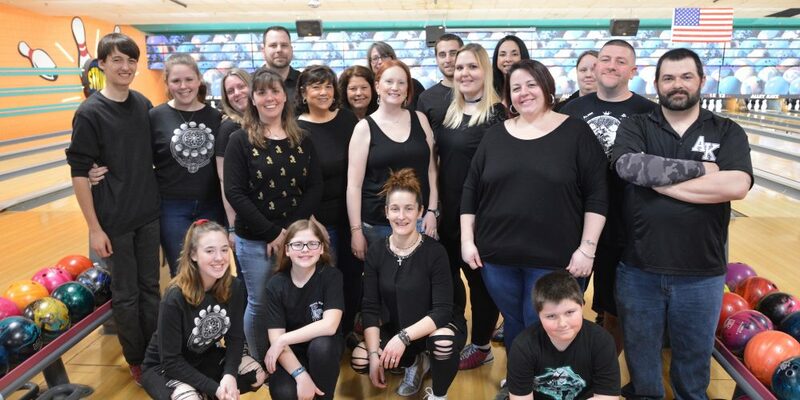 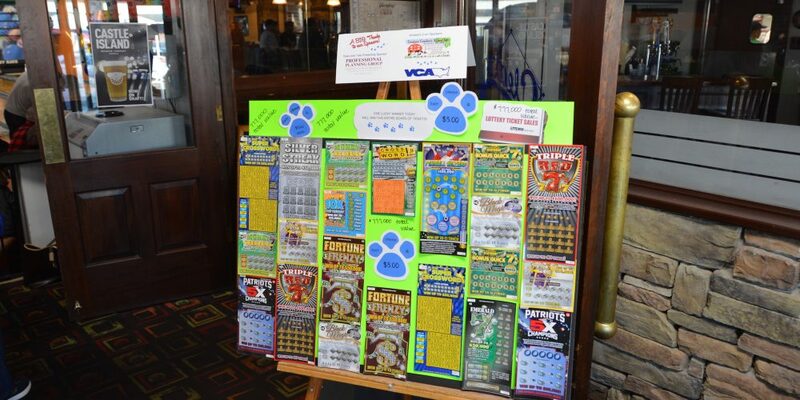 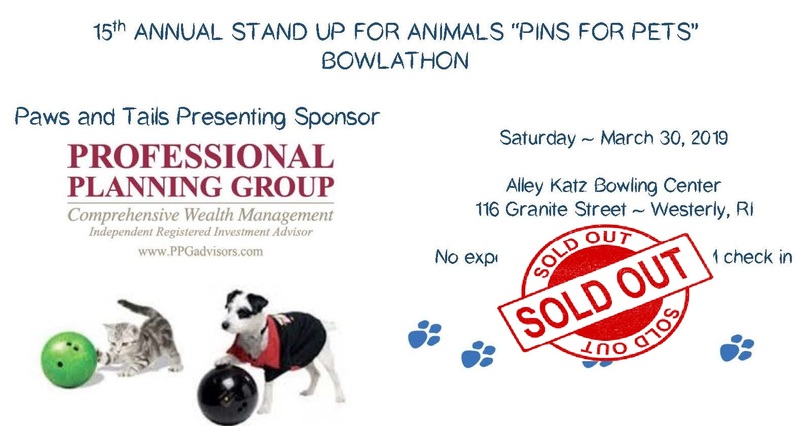 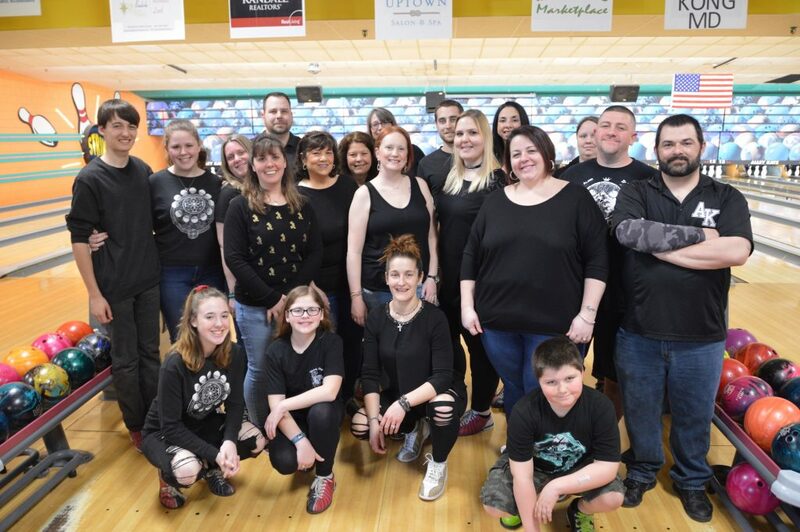 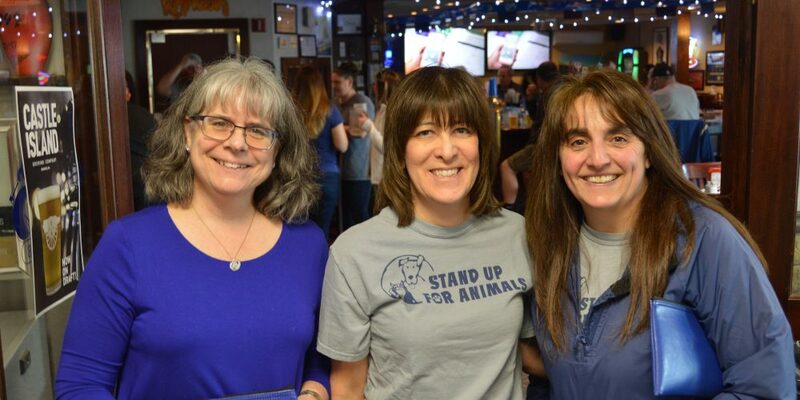 Please join us on Saturday, March 30th at Alley Katz Bowling Center for our 15th Annual Pins for Pets Bowlathon to benefit Stand Up For Animals!! 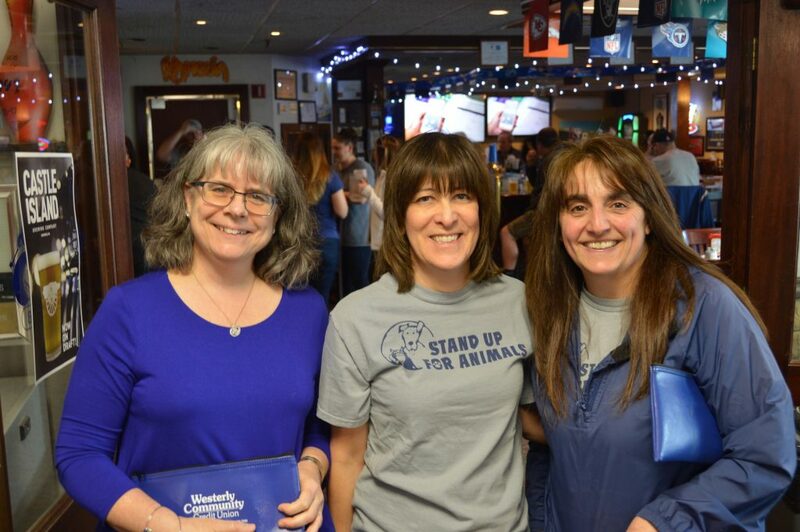 Registration begins at 5:00 PM. 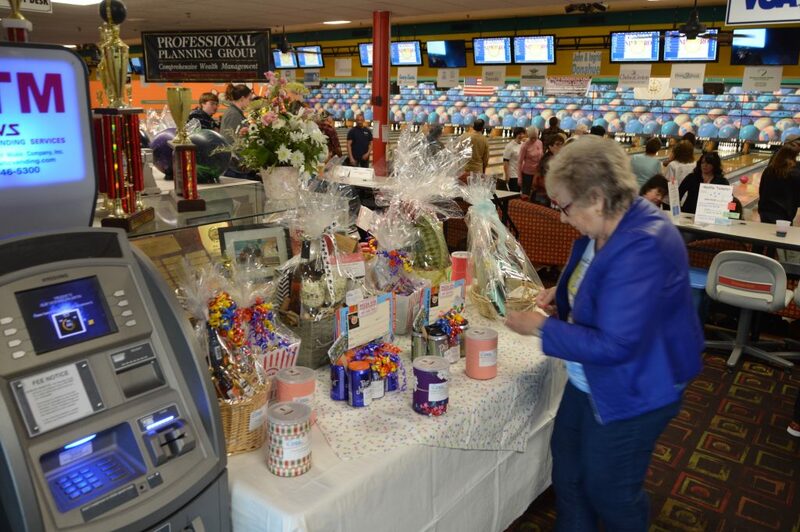 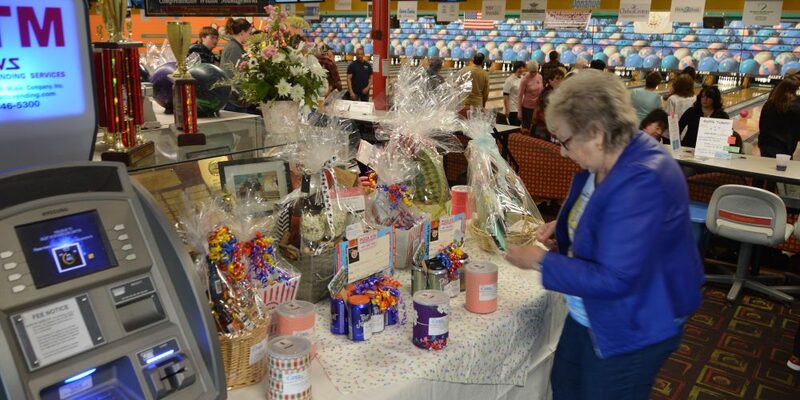 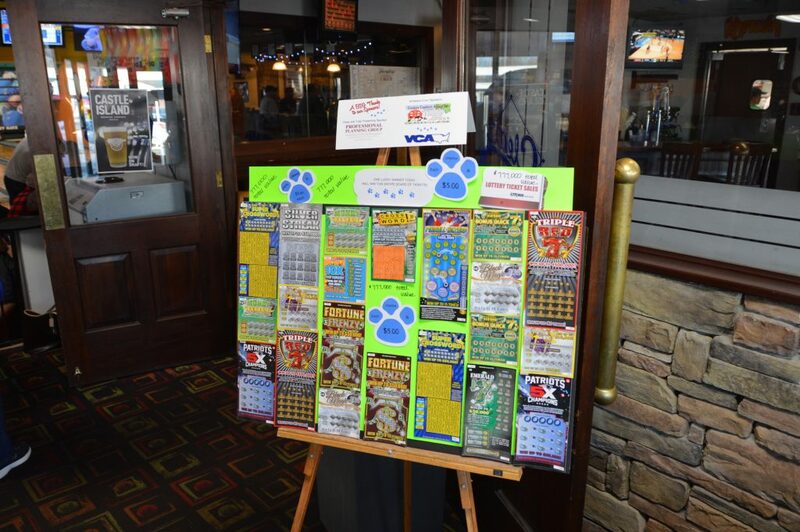 Complimentary food will be available for bowlers and raffle tickets for our purr-fect raffle will be available for sale! 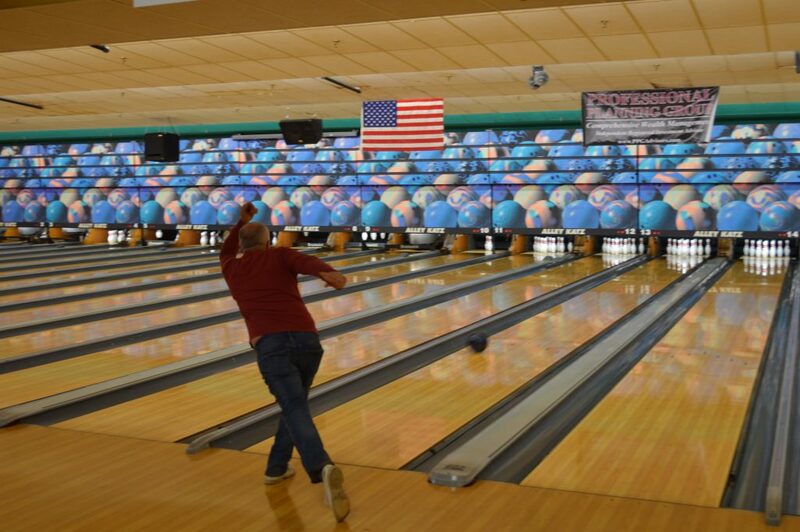 FORM A TEAM OF SIX ($210) or SIGN UP AS AN INDIVIDUAL ($35) **This is a popular event so please don’t wait to reserve your lane! 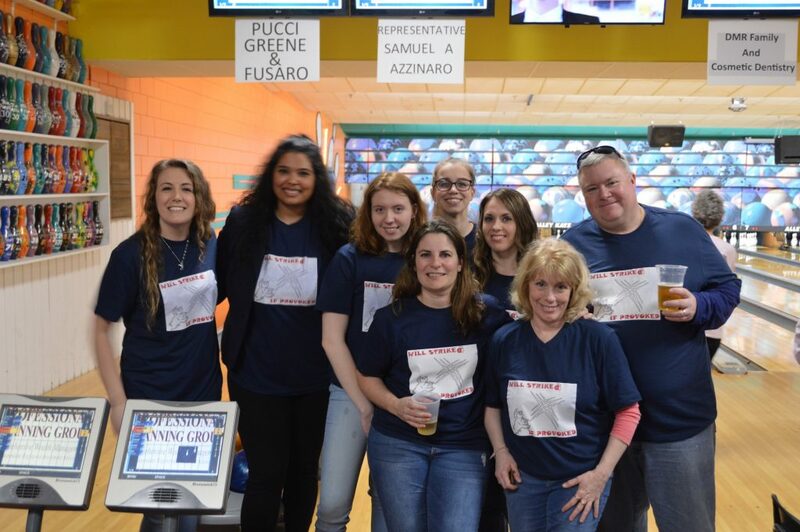 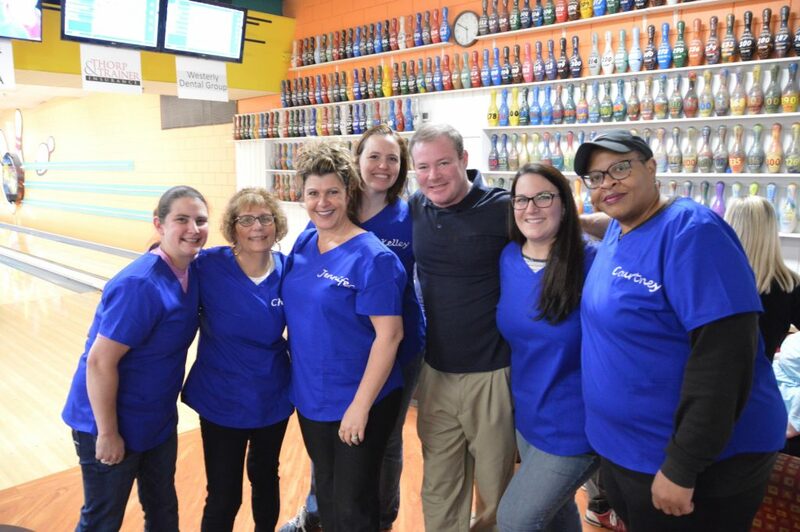 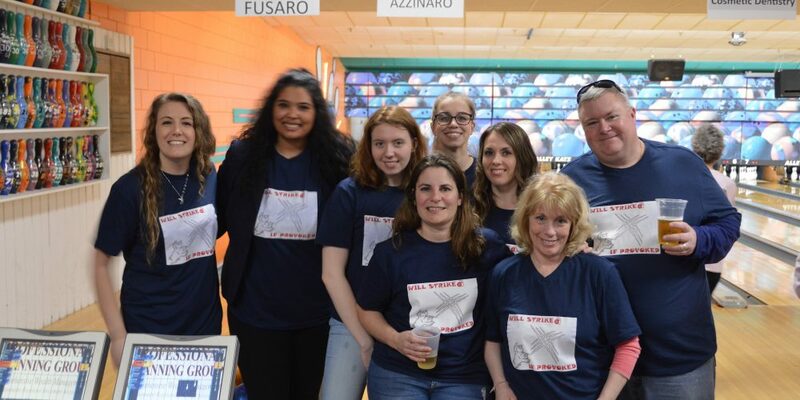 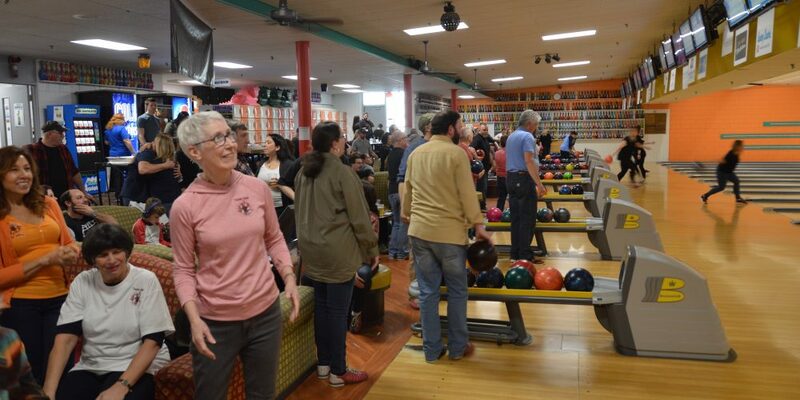 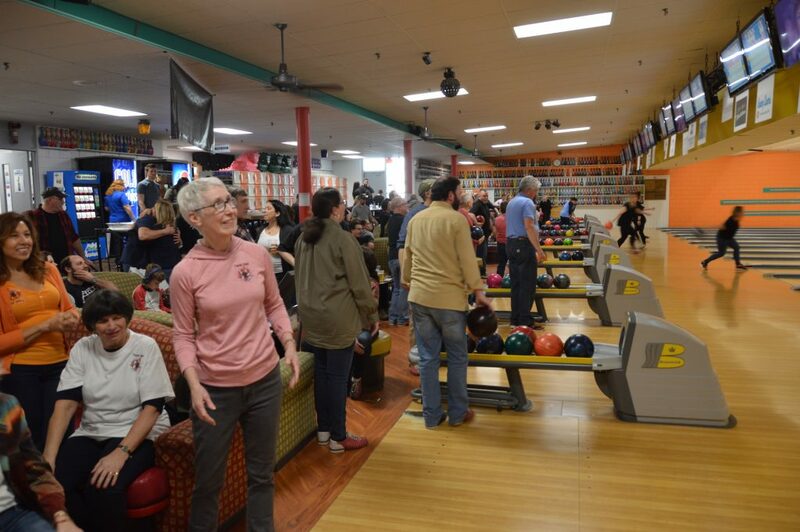 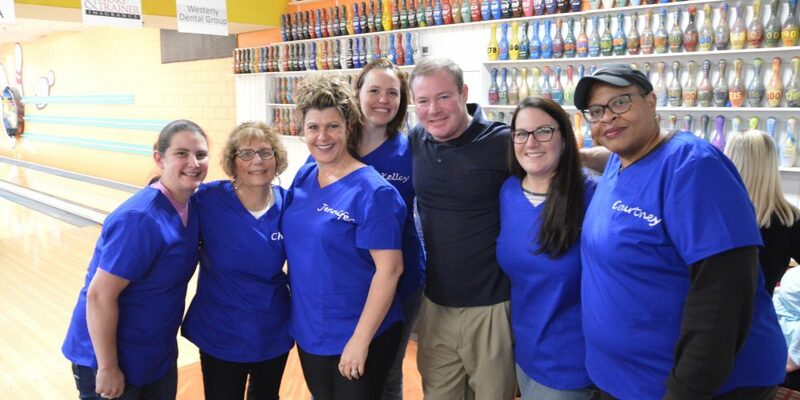 ** DON’T BOWL BUT WANT TO HELP THE SHELTER PETS BY SPONSORING A LANE? 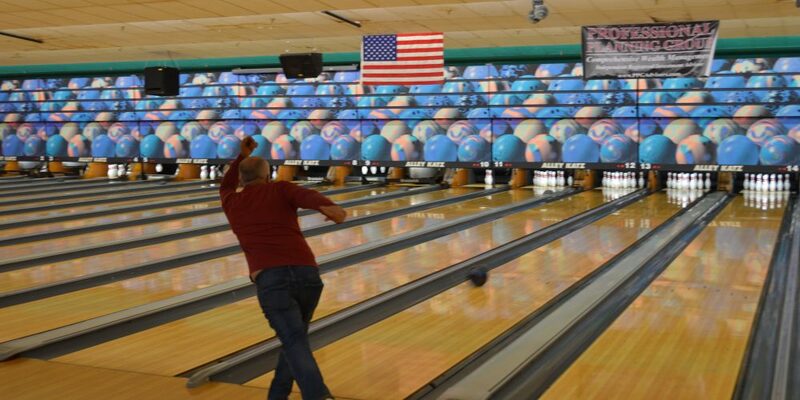 For a $100 donation your NAME or BUSINESS NAME will be displayed on a 2’ x 3’ sign on the Scoring Monitor.